Lily’s journey was similar to mine. Because being brave is at the core of any writer’s journey to publication. It’s about being willing to put yourself – and your work – out there, into the world with no idea if someone will stab it repeatedly or give it a huge welcoming hug. I started writing seriously ten years ago. I loved romance and always wanted to write one. I joined the RNA (Romantic Novelists’ Association) New Writers Scheme and sent off my first masterpiece (I say this with a tongue in my cheek). I was surprised to receive a glowing report, even more delighted when my book was sent straight to Mills & Boon. Well that was easy, I thought. Five months later it got rejected. Are you strong enough to withstand the arrows of disappointment? I sent three more books to Mills & Boon and none of them were right. I gave up, changed direction and wrote romantic comedies. I wrote and wrote, sent my books off for RNA critiques but I wasn’t brave enough to put myself out there again. 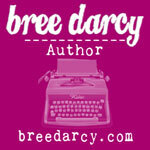 I didn’t submit to agents or publishers – my work simply didn’t feel good enough. It would be tomorrow, next week, next month… just not today. In 2017 I was awarded the Katie Fforde Bursary (jointly with the lovely Bernadette O’Dwyer) and that was my turning point. Almost all of Katie’s Bursary winners have been published. Now it wasn’t just myself I had to get published for. It was for Katie. So I polished my latest novel (and pulled on my big girl pants) and pitched to Natasha Harding from Bookouture at the RNA conference. She liked my work, asked to see more and after a few months I was offered a three-book deal. Firstly, if I hadn’t put myself out there I’d still be writing novels that only my laptop (and a few special friends) got to read. I learned how important it is to be brave, to be prepared for rejection and not to use them as an excuse to hide. I learned the importance of perseverance. Getting published is not a race, more of an ultra-marathon. Don’t give up and don’t let disappointment stop you from trying. Know you have loads to learn and every single word you write is a step closer to your goal. Finally, understand getting published is only the first step. I might write happy endings but life is a mixture of both happy and sad. Once your book is out there you’ll have to get used to people who hate it – it comes with the job. How can you cope? 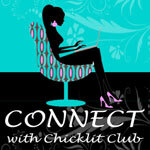 I’ve read lots of great advice in writers’ chat rooms and here are a few tips that resonated with me. If you get a bad review, re-read all of the lovely ones. Focus on the good not the bad. Remember, even writers like F Scott Fitzgerald, J.K Rowling and Harper Lee had their critics, not everyone’s going to love your work. Ignore them – talk with friends, fellow authors, eat a load of chocolate or drink a glass of wine. Everyone’s entitled to their opinion, remember a bad review isn’t personal. It’s just an opinion. Buy a bag of jelly babies and if you get a mean review, take one out, pull off their arms and legs then eat them. It’s the sugary equivalent of a punch bag. Remember why you write – it’s probably not for the reviews. Donna Ashcroft was born in London and grew up in Buckinghamshire. She went to university in Lancashire and, among other things, worked as a copywriter, buyer, waitress, secretary and marketing manager. Donna wrote novels for over ten years before being published. She is a member of the Romantic Novelists’ Association and was a joint winner of the Katie Fforde Bursary in 2017. Her first two books Summer at the Castle Cafe and The Little Christmas Teashop of Second Chances published in 2018. 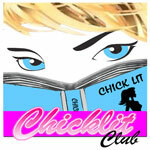 Can men write chick lit?